The mailboxes for their class parties are complete and the cards are filled out. TWO DAYS EARLY! Normally we are up late the night before, is this a new leaf for us? Are we on the verge of organization? Only time will tell. 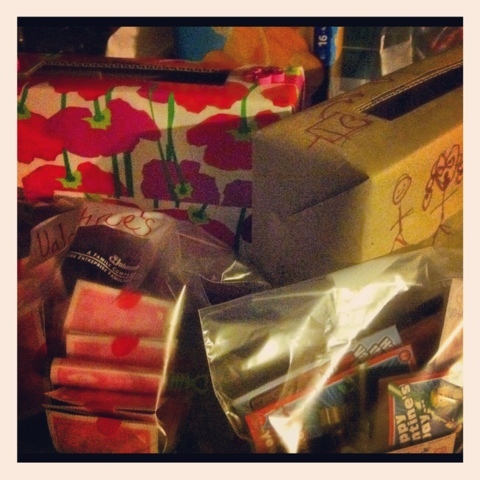 This entry was posted in Crafts, Instagram, Project 366 and tagged Instagram, mailbox, project 366, school, Valentine. Bookmark the permalink.